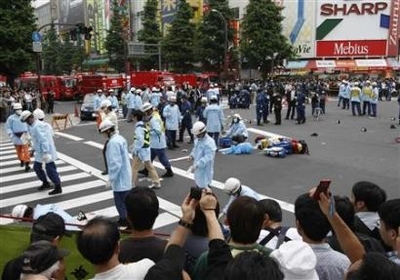 Today marks a sad day in Akihabara. 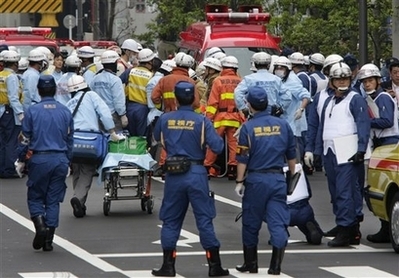 A man with a survival knife stabbed and killed 7 people while leaving 10 people injured. 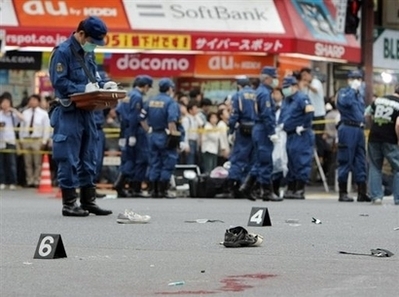 Reports say he drove a truck into a crowd, got out, and proceeded to stab anyone withing distance. 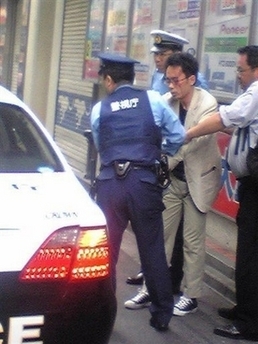 Police was able to apprehend Tomohiro Kato, the 25 year old suspect from Shizuoka Prefecture. He admitted that he planned the attack. I am sure he picked Akihabara not because he was mad at the culture that calls the place home. But, he went to a place that he would be sure to find a lot of people. Whatever his reasons were, misery doesn’t deserve company. 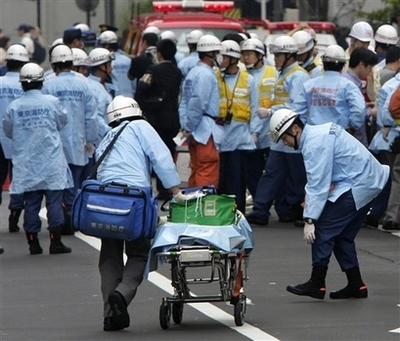 My thoughts go out to the families of the injured and dead. Via Seven Ten to Tokyo. Images from Yahoo.